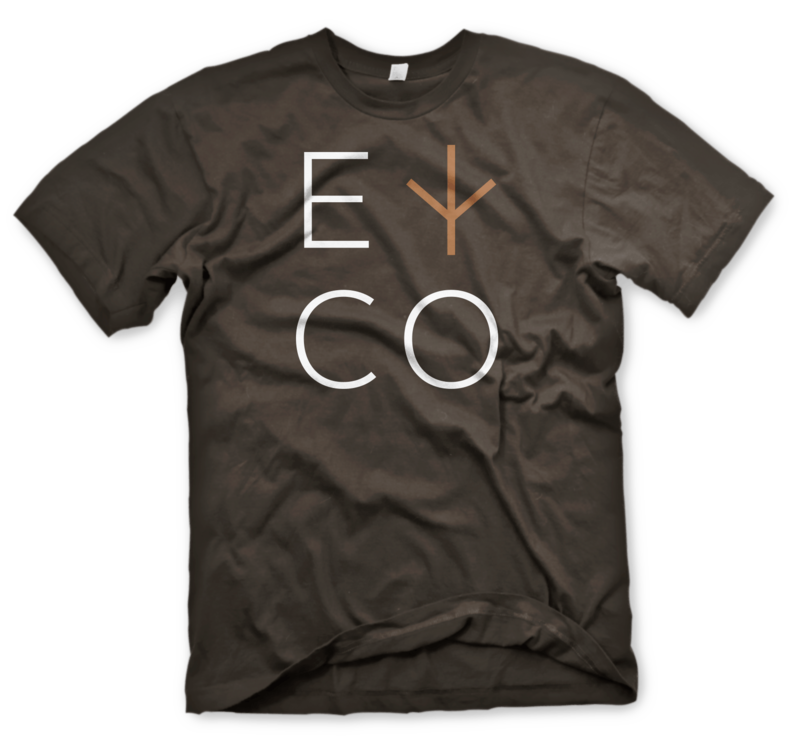 Emmer and Co. is a heritage chicken company based out of San Francisco, CA. They sell the only FDA certified heritage chickens in the US. 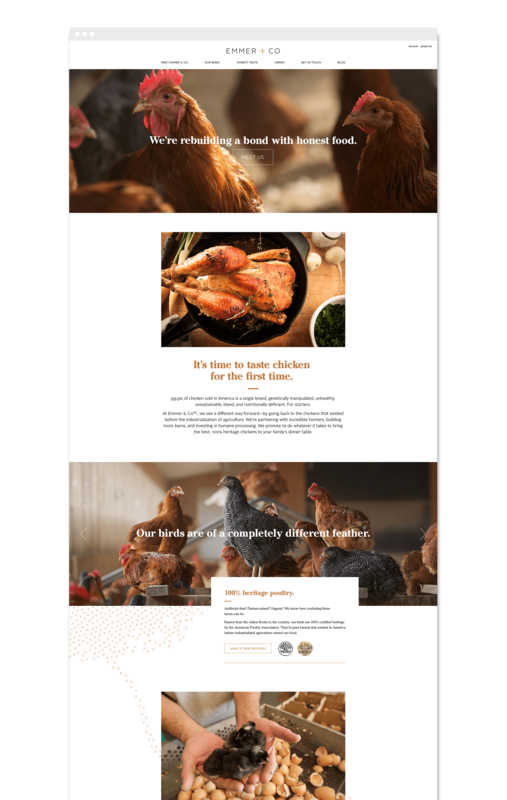 Their mission is to rebuild a bond with honest food and they do this by taking the time to insure their chickens are raised right from farm to table. 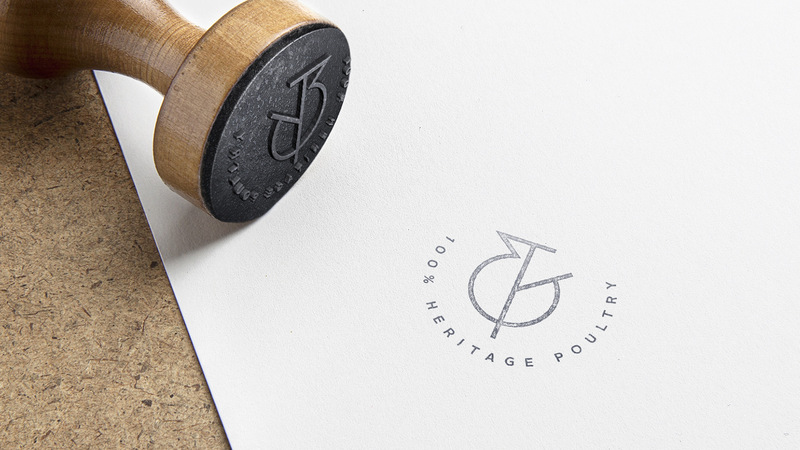 The ask was to bring this new brand to life in a simple yet sophisticated way and inform the consumer about heritage chickens. 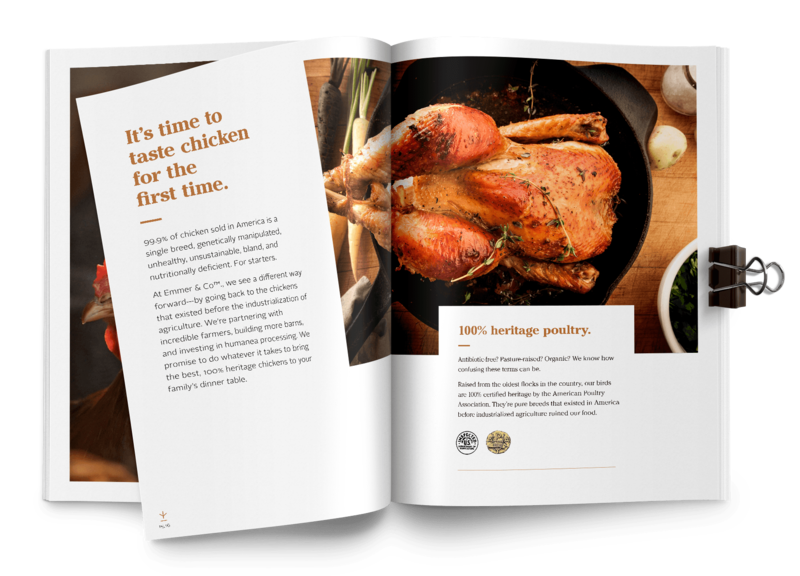 Emmer and Co. is a heritage chicken company based out of San Francisco, CA. They sell the only FDA certified heritage chickens in the US. Their mission is to rebuild a bond with honest food and they do this by taking the time to ensure their chickens are raised right from farm to table. 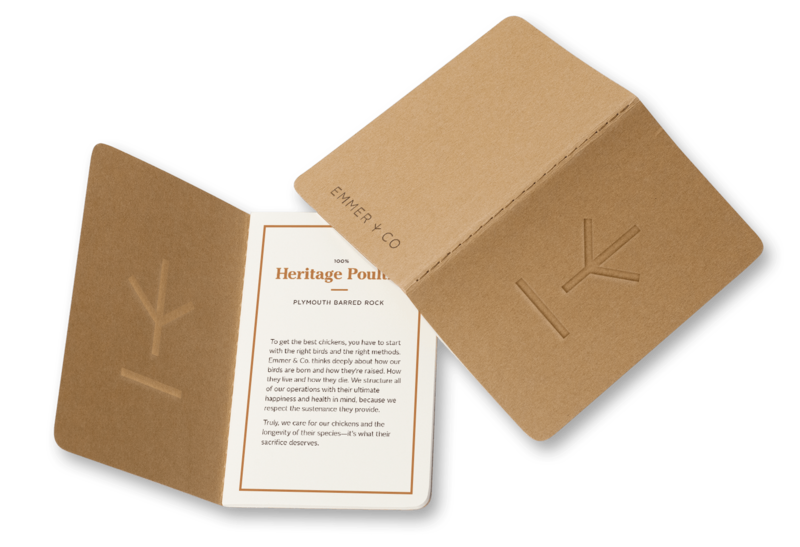 The ask was to bring this new brand to life in a simple yet sophisticated way and inform the consumer about heritage chickens. 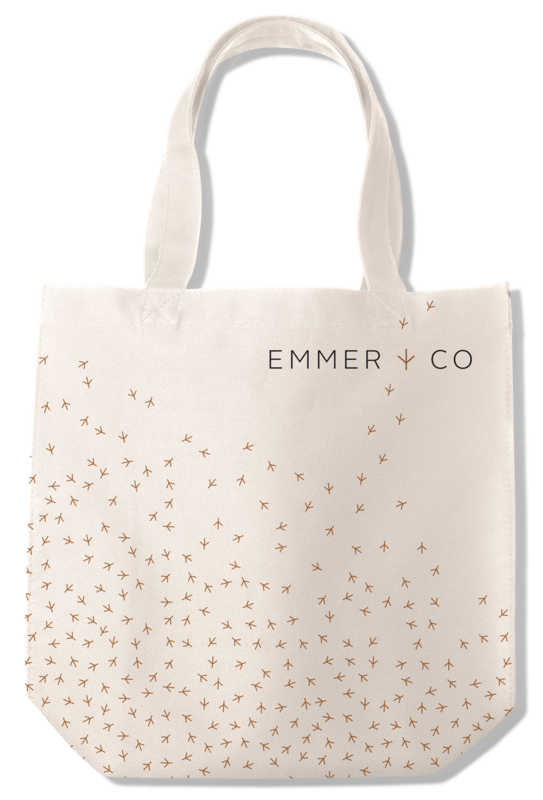 The Emmer & Co. brand was created as part of a small team at Hornall Anderson. 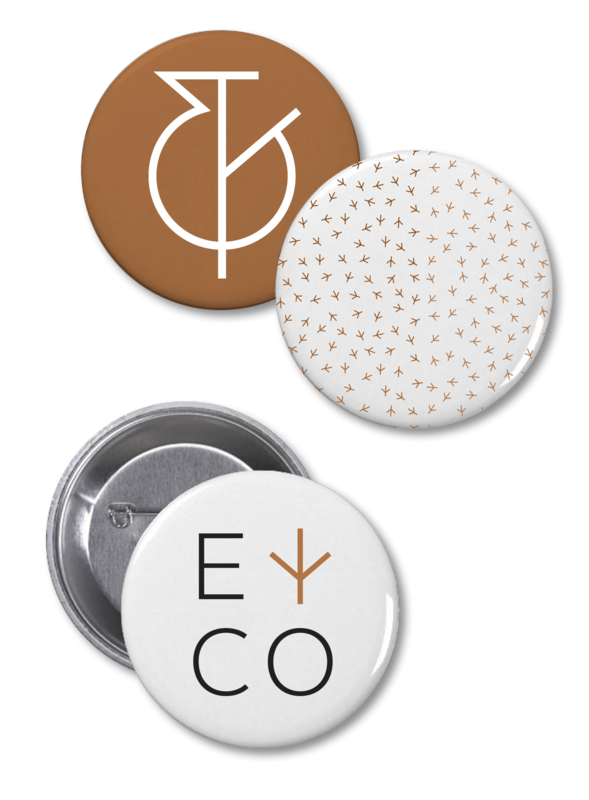 Thank you David Bates for taking the chance to do big things for a small brand and Elliott Snyder for exploring the true meaning of collaboration.